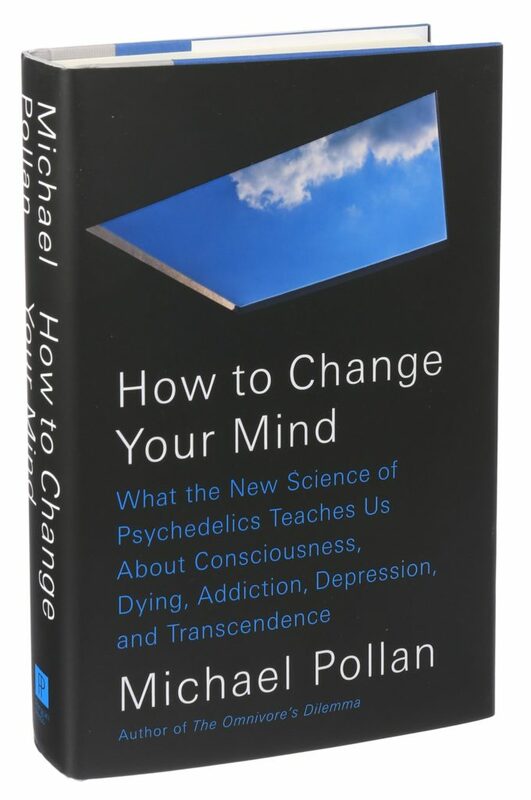 If you’re at all interested in psychedelics, you need to read Michael Pollan’s new book How to Change Your Mind: What the New Science of Psychedelics Teaches Us About Consciousness, Dying, Addiction, Depression, and Transcendence. This is a landmark book that will enlighten a lot of people and hasten the acceptance of psychedelic therapy in our culture. It’s all here: the history, politics, science, and Pollan’s own psychedelic journeys. 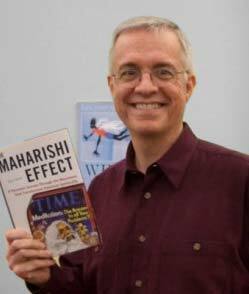 He’s an excellent writer with a gift for explaining difficult topics and finding the connections between hard science and everyday life. There are tons of reviews out there. The New York Times has a good one. 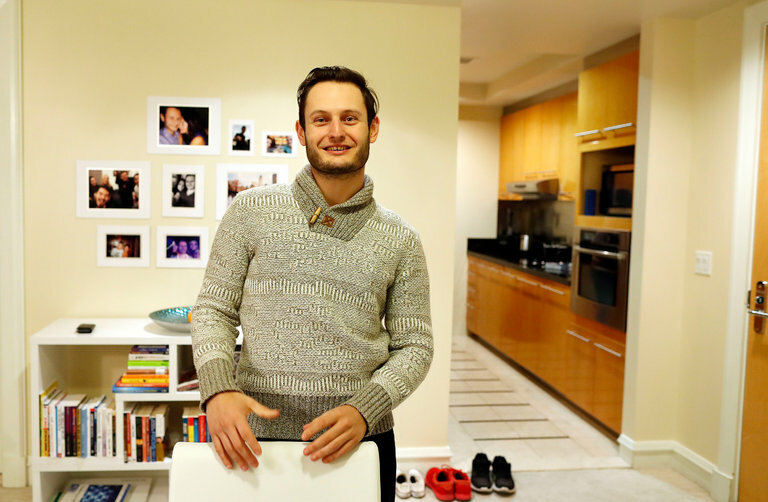 I also highly recommend Pollan’s interview on Fresh Air. Hello and welcome. You made a difficult decision to embark on psychedelic therapy and I admire your courage. Most of the people who go through psychedelic therapy say that it’s one of the most important experiences in their lives. I’ve done it myself and I think you’ll be as happy as I was to discover the positive changes in your life. You’re about to leave on an amazing journey. It’s so exciting to imagine the discoveries you’ll make. The best advice I can give you is to expect the unexpected. Every psychedelic trip has its own surprises, insights, and challenges. Be open to the experiences, let everything happen, and you’ll come through just fine. It’s possible that you may have some difficulties on your way. Your guides will be there with you the whole time to make sure that you’re safe. Many people find that the difficult challenges are valuable because they help us become strong and flexible and resilient. If you’re nervous about facing the unknown, you’re definitely not the first. Even veterans can feel the same way. For myself, I discovered that the things I feared most aren’t anywhere near as big as I thought they were. As a result, I feel more at home in the world and less afraid. If I did it, you can do it too. I wish you a peaceful and loving journey. I’m looking forward to seeing you on the other side and hearing about your adventures. Thank you so much for joining us. I’ll be speaking at the Midwest Psychedelic Therapy Symposium in Madison, WI, on Saturday April 28th at 1:30 PM. The title of my talk is “Muggles at Hogwarts: Welcoming Our Friends and Neighbors to the Joys and Terrors of the Psychedelic Experience.” Tickets are available now. I hope to see you there! Here’s a video of the panel discussion with volunteers from the UW psilocybin study. Joining me are Mazdak Bradberry, Diane Byler, and Day Host-Jablonski. The moderator is our guide Karen Cooper. In the fall and winter of 2014 I participated in a research study at the University of Wisconsin School of Pharmacy on the effects of the psychedelic drug psilocybin. I was one of 12 volunteers who took psilocybin on three occasions under the supervision of the research staff. The dosage increased each time. In the last session we got 40mg of psilocybin per 70kg of body weight, the largest dose in the history of psychedelic research. A few hours into my first session I saw my mother Martha sitting alone in her living room. She was sitting in her chair facing her stereo which was silent because her dementia had progressed to the point where she could no longer insert a CD in the player. The music in my headphones—selected by the researchers—gave the vision a soundtrack of Bach and Vivaldi, the same music my mom played for me when I was a child, the same music her parents played for her. Now she sat in silence, disconnected from the art that gave her joy. I understood the purpose of the vision: I must bring my mother and her music back together. The next day I drove to Martha’s care facility and put a CD of Brahms in her stereo and pressed play and watched her eyes widen with love. We sat together holding hands as we had when we shared music in my childhood. A couple hours of Brahms and Mozart every few days brought my mom out of her fog and made her joyful, but it also changed our relationship. She was no longer the competent, independent person who traveled the world and played the stock market and raised a son as a single parent and put on whatever CD she damn well pleased. Now the roles of a lifetime turned upside down. I would learn to be a caregiver or there would be no more music. In my third session in the UW study, the one with the big dose, I traveled down the birth canal and entered the world. I gave birth myself, which was very messy. I died. The dimly lit room in the School of Pharmacy became an underground grotto and the guides sitting by my couch—gentle and helpful as always—prepared the last rites. Wrapped in headphones and blankets with my arms folded over my chest, I was a corpse. I saw light in the distance as the borders of my individuality began to dissolve. No! I pulled back. My ego hung on like a dog gripping a bone in its jaws. Then I felt the light tugging at my edges and seeping through my barriers and I knew it was time to go so I leaned forward and I fell in. The light came up to engulf me and then there was nothing. Death was very hard, but the vision of rebirth was harder. I came back into primordial chaos with no sense of self, just fragments of objects and sounds and memories flying around in a whirlwind. My job was to put the universe back together one piece at a time. After much hard labor, I built a foundation solid enough to stand on and go forward. It was the hardest thing I’ve ever done. The next day as I drove home from the hospital I marveled at the beauty of streets and neighborhoods I’d seen countless times before. The world was fresh and new. In the days after my final session I felt buoyant as if I’d lost a ton of weight. It was lovely but I figured it would end soon and life would be heavy and gray again. That didn’t happen. I had, in fact, lost a huge weight that I’d carried all my life. I was no longer afraid. Sixty-plus years of social anxiety and stress and grinding discomfort in my own skin were lifted from me in one day. What’s more, I was no longer afraid of death. Been there, done that. As my mom’s dementia progressed, parts of her disappeared like the limbs of a melting snowman. Over the course of a year and a half she lost the ability to write checks, operate appliances, tell time, read, bathe herself, and remember the names of her parents. Her weight plummeted. Then she stopped eating. Her doctor recommended hospice. The hospice nurse examined my mom, who was barely responsive by then, and told me that she probably wouldn’t live another week. The nurse and I sat by the bed in a silent vigil. As I held my mom’s frail hand and examined the transparent skin of her wrist and the colored veins underneath, I realized I’d been there before. Not long ago I was the skeleton wrapped in blankets preparing for the final sendoff as the UW research staff sat nearby in a silent vigil. The familiarity of the situation comforted me. I understand now why cancer patients who receive psilocybin lose their fear of death. The psychedelic experience—loss of ego boundaries, transcendence of space and time, direct knowledge of universal love—is so huge that everything else, even a fatal disease or the death of a beloved parent, falls into place. After each session in the UW study I filled out a form called the Mystical Experiences Questionnaire. The form has a list of things that may turn up during a psychedelic trip. For example: “Awareness of the life or living presence in all things” and “Feeling that you experienced eternity or infinity.” You rate the significance of these experiences in your trip on a scale of 0 (not at all) to 5 (extreme). Everyone who participates in a psychedelic research study fills out the same form. The data show that psychedelics often produce dramatic mystical states like the ones reported by monks or yogis. Many participants rate the psychedelic journey as one of the most important and transformative events in their lives. What’s more, the questionnaire shows that mystical experiences can play a big role in psychedelic therapy. Recent studies at Johns Hopkins and New York University showed a positive correlation between ratings on the Mystical Experience Questionnaire and the effectiveness of psilocybin as a treatment for depression and anxiety in late-stage cancer patients. People who scored higher on the scales of mystical experience had fewer negative emotional symptoms from their disease. Unlike other medications, the positive benefits of psilocybin seem to persist long after the drug passes out of the system. Long as in months or years. In the Hopkins/NYU studies, the cancer patients got a single dose of psilocybin. At a six-month follow-up, many of them reported continuing psychological and emotional benefits. I can testify that it works like that. My study was for healthy adults; I don’t have cancer or PTSD or any of the other conditions treated with psychedelics. Even so, the long-lasting benefits of psilocybin came in very handy when I needed them. I sat a vigil for the week it was supposed to take my mom to die. Then she woke up and asked for something to eat. In the months that my mother lingered in this world, I learned to feed her and clothe her and take care of the basic needs that she performed for me when I was a helpless child. I learned to make conversation with a person who speaks nonsense. The stress and sorrow grew with the demands. I put on a good face for my mom and the nursing staff, but the tears came the moment I left the building. Oddly, as my own burden grew, my mom’s diminished. She wasn’t depressed or bitter like so many of her fellow residents in the memory care facility. She even developed a sense of humor. I held her stuffed dog on her knee and flopped its ears and she made growling noises and laughed and laughed. One day I was sitting in the dining room at my mom’s table helping her with a glass of juice when an aide wheeled in another resident and parked her next to us and left her slumped over in her wheelchair. I didn’t pay much attention, but my mom, who was pretty vacant herself that morning, perked up and said hello. The only reply was a slack jaw and far-off stare. Martha made another attempt. She feebly grasped her spoon and held it out to her dining companion who, of course, had a full table service of her own. “Would you like this?” she asked. I lost it. I started crying and made a lame attempt to cover up using my mom’s paper napkin. For an instant I saw her as she truly is, without the layers of her career and her daily routines and her endless responsibilities. She was always a loving caregiver, even to strangers, but I never saw it until her dementia took away everything else. They call LSD “acid” both for its chemical name and for the subjective effect of bathing in a corrosive pool that dissolves all illusions. Psilocybin can have the same effect. In one of my sessions I developed x-ray vision that let me see through my transparent skin to my skeleton and nervous system. That all dissolved followed by the ego junk—sixty years of habits, assumptions, and prejudices, all down the drain. There wasn’t much left besides a core of basic needs and spirit. When the same thing happened to my mom I got a sense of déjà vu. As I see it, we are on the same journey, hers facilitated by age and illness and mine by chemicals. Both trips take us to the deep center of human nature. That’s why a psychedelic trip can feel so familiar. Perhaps that’s also one reason why psychedelics are so practical. Long after the last dose of psilocybin washed out of my system, I still recognize the core human spirit in others, even those I used to avoid or dislike. People tell me I’m more patient and tolerant. I also have a new attitude toward elderly people. For most of my life I didn’t have much time for them but now I seek them out. They’re past the stage of scurrying around preoccupied by things that don’t matter. It took me 40mg of psilocybin to learn that lesson, but I think I finally got it. Maybe I’m ready to follow my mom’s example and be a caregiver. Martha is still with us. On a good day she still gets some pleasure from Brahms or Mozart, but just as often they pass by unnoticed. Someday I’ll get a phone call from the hospice nurse. It could be tomorrow or it could be a year from now. I think I’m ready. I’ve done the work of letting go. The final vision of my last session was a dance. I don’t think my mom and I ever did the waltz in the real world, but we did under the influence of psychedelics. She was a little girl, the most precious thing in the world, and I held her in my arms as we twirled around. I saw the crack forming on the horizon and I knew she would have to go soon. But we held each other and danced. The crack widened and bright light poured in from the next world. My mother was very small, tiny enough to hold in my hands. I told her I loved her and I held her up and let her go. I cried but love remained. I am, still, a rational materialist who doubts life after death. With all the visions and ordeals of the last two years, however, doubts and beliefs don’t seem very important. I got what I needed from my teachers, one a human and one a chemical. The rest is superfluous. Who cares that the mystical experience I had in the UW study came out of a chemistry lab? Call it psychological, purely subjective, a fiction conjured by a brain under the influence. All true. It was also as real and beautiful and practical as anything in my life. When it is my own time to die, I think I’ll be as well prepared as the cancer patients in the psilocybin studies. I’ll get the final diagnosis but I’ll remember the big galactic dance. When it’s time for the final transition I suspect that it will feel familiar, like a place I’ve visited before. I don’t think it could be any more difficult or more cosmic than what I experienced in the session room. I know that my own death, and the death of my mother, are tiny compared to the love that will endure. I’m honored to be a presenter at the 2017 Psychedelic Science conference. I’ll be part of a discussion panel with five other volunteers from the UW research study on the effects of psilocybin. Our group will appear on Saturday, April 22, at 11:00 AM in the Grand Ballroom in the Oakland Marriot City Center Hotel. Click the banner below for information on the panel discussion. About 80 percent of cancer patients showed clinically significant reductions in both psychological disorders, a response sustained some seven months after the single dose. Side effects were minimal. … In both trials, the intensity of the mystical experience described by patients correlated with the degree to which their depression and anxiety decreased. I hope you’ll join me and the rest of the psychedelic community at the Psychedelic Science conference in Oakland next April. I attended the previous conference in 2013 and I was deeply impressed. This is a great group of fascinating people doing incredibly important work. Plus, it’s lots of fun. Early bird tickets are available by clicking the banner.